Chances are you have heard of the term marketing automation, which is no surprise considering 51% of all companies are now using this technology. But maybe you are still unclear on exactly what it is – that’s okay. Marketing automation is a software platform that exists with the goal of executing marketing actions (i.e publishing social media posts, sending out emails, and updating contact info) without any manual effort. These systems gather all of your campaign, contact, email, and web page data into one organized area for easy access. You can also post to multiple social media accounts from their platforms and create fairly detailed web pages from ready-to-build templates. Best-in-Class marketers are 67% more likely to use a marketing automation platform and see 14% overall growth in marketing revenue (Aberdeen). Companies using marketing automation see a revenue growth rate that is 3.1% higher than non-users (Aberdeen). Nearly two-thirds (63%) of the “very successful” use their marketing automation systems extensively (Three Deep & Ascend2). As marketers we often feel pulled in a million different directions and our to-do list never seems to get any shorter. After all, you still only have 24 hours in a day to accomplish everything you need to get done. This is precisely the reason why the marketing automation industry is growing so rapidly. Marketing automation tools provide sales and marketing benefits that marketers could have only dreamt about 10 years ago. If you are still on fence about investing in marketing automation, or just need to sell it to your boss, check out the resources in this section. 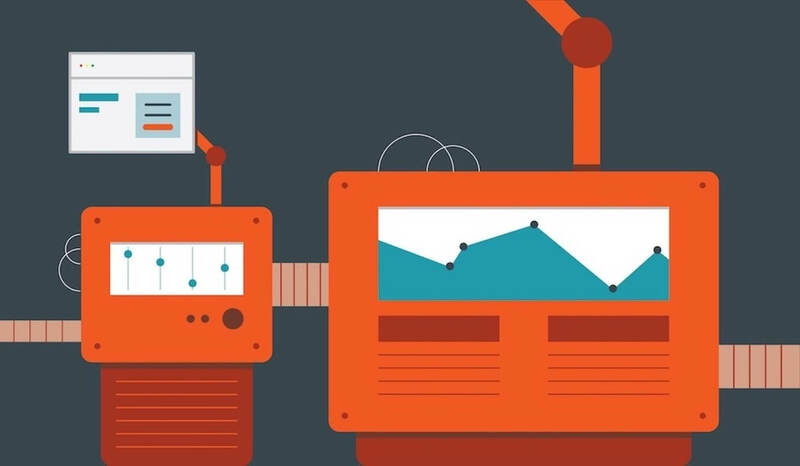 Does Your Company Need Social Media Automation? Behavior-Based Marketing Automation: Behavior-based marketing automation (otherwise known as behavioral marketing) refers to a system that triggers emails and other communication based on user activity on and off your site. It enables marketers to nurture leads and send them information only when it is most relevant to their point in the buying cycle. Closed-loop marketing: The practice of closed-loop marketing is being able to execute, track and show how marketing efforts have impacted bottom-line business growth. An example would be tracking a website visitor as they become a lead to the very last touch point when they close as a customer. Cross-platform marketing automation: refers to the ability of your emails to display well across different platforms like tablets and mobile devices. If you fail to optimize for mobile, you miss out on a huge opportunity to communicate with potential customers. Drip marketing: A communication strategy that sends, or "drips," a pre-written set of messages to customers or prospects over time. Lead nurturing: The act of educating a lead and moving them through the stages of your company’s customer lifecycle, improving the quality of that lead over time. Lead nurturing is about building trust and reciprocal relationships with your prospects to the point they become paying customers. Workflow/Automated Program: A series of automated trigger-based actions configured on the marketing automation system. These actions, ranging from sending emails to updating contact lists, are programmed to trigger based on user behavior. The birth of marketing technology happened sometime in the 80’s, when computers became powerful enough to store large volumes of customer information. In 1986, ACT! developed the first ever database marketing software, basically a primitive CRM platform. 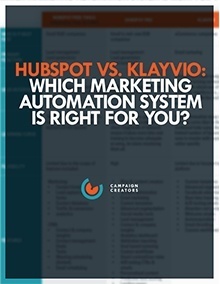 Most automation tools in the marketplace fall into one of these categories, however, there are also many all-in-one platforms, such as HubSpot and Infusionsoft. 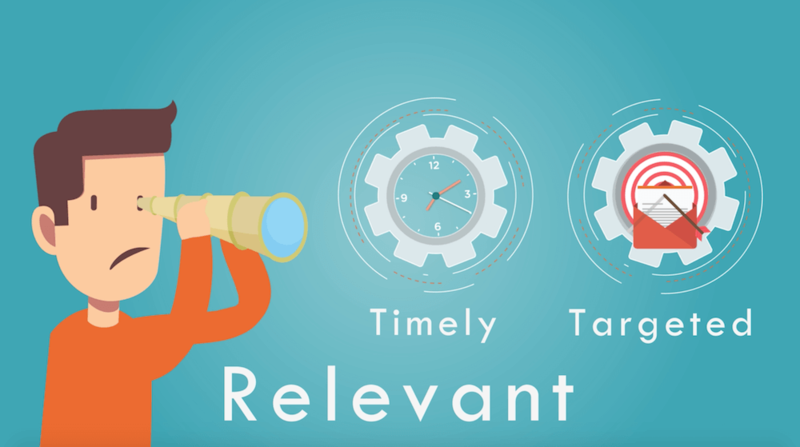 The wide availability and increasingly lower cost of marketing automation tools has led to a new conundrum for marketers - figuring out which tools you actually need and who the best provider of those tools are? 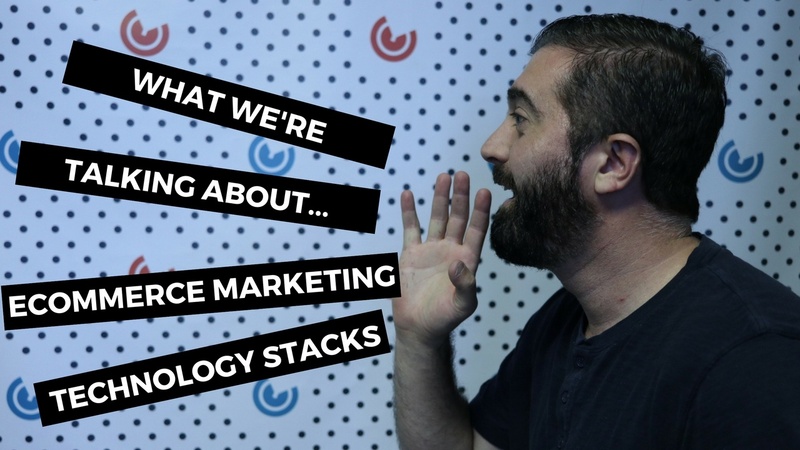 Lucky for you the resources in this section are here to help you put together the perfect stack of marketing technology tools for your business. WHICH MAS IS RIGHT FOR YOU? Known Visitor: A known visitor is someone who has visited your site with an email address associated to their IP address because they’ve filled out a form or opened/clicked an email you sent them and your platform started tracking them. 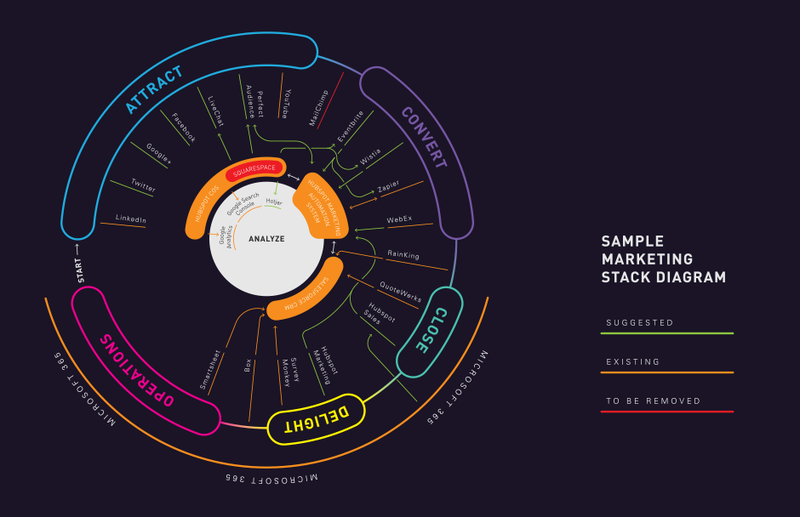 Marketing Technology Stack: A grouping of technologies that marketers leverage to conduct and improve their marketing activities. The essential components of this stack are a content management system (CMS), advertising technology, email, insights and analysis, and experience optimization. Smart List/Segment/Dynamic List: A smart list is a dynamic list that automatically adds contacts to it based on criteria you set out. Trigger/Entry point: A trigger is where an automation starts, based on certain actions, like adding contacts to a particular list, sending out an email and even based on actions taken by a contact or a group of them. Unknown Visitor: An anonymous visitor is someone who has visited your site but your marketing automation database does not have an email address to associate with their IP address. Despite being one of the oldest forms of digital marketing, email marketing still provides the best ROI in the business. So it should be no surprise to learn that it’s also the most widely used digital marketing channel. However, one of the main issues with email marketing is scalability, which is where email automation comes into play. Email automation software allows you to automate the messages you send to contacts, whether they are trigger-based (initiated by a behavior of the email receiver) or an email blast (triggered by the email sender). This allows for the large-scale distribution of personalized messages to your contacts. Welcome new blog subscribers - Thank contacts for subscribing, remind them what they'll get out of reading your blog, review their subscription settings, and promote your blog's best-performing articles or other offers. Nurture leads - If a contact has downloaded several top-of-the-funnel offers like ebooks, help them advance further down the funnel with emails containing more middle-of-the-funnel content like case studies, free trial offers or product demos. Onboard/Welcome new customers - Start off your new customer relationship on a positive note and keep your customers engaged after they buy. And if your product or service requires a little training on your customers' part introduce them to helpful training materials on an incremental basis. Re-engage inactive contacts - Reawaken inactive contacts by sending them an exclusive offer or coupon to get them excited about your company again. Turn abandoned carts into sales - Remind people of their forgotten purchase and motivate them to complete the transaction by offering a special discount code or some other incentive to buy. And that list is just a start - the possibilities for email automation are almost endless. The resources in this section are here to help you get started and refine your email automation strategy. Abandoned cart emails: Automated email reminders sent to customers who exit a website after adding items to their shopping cart but failed to complete the purchase. 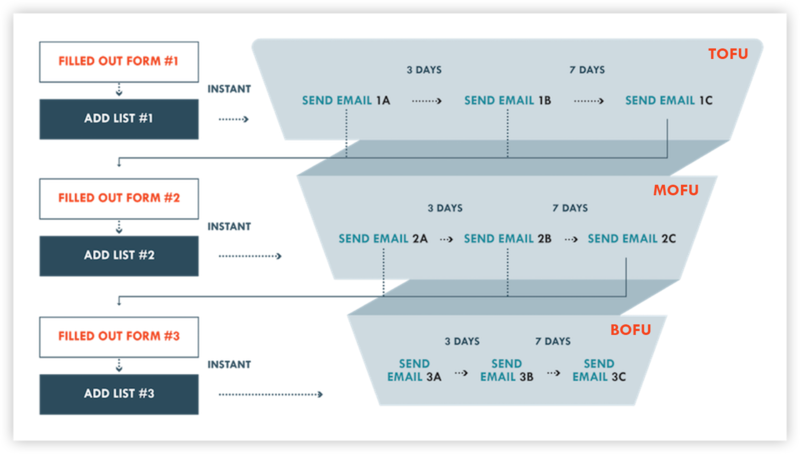 Drip emails: A series of automated emails dripped to customers or prospects over time on specific timelines. 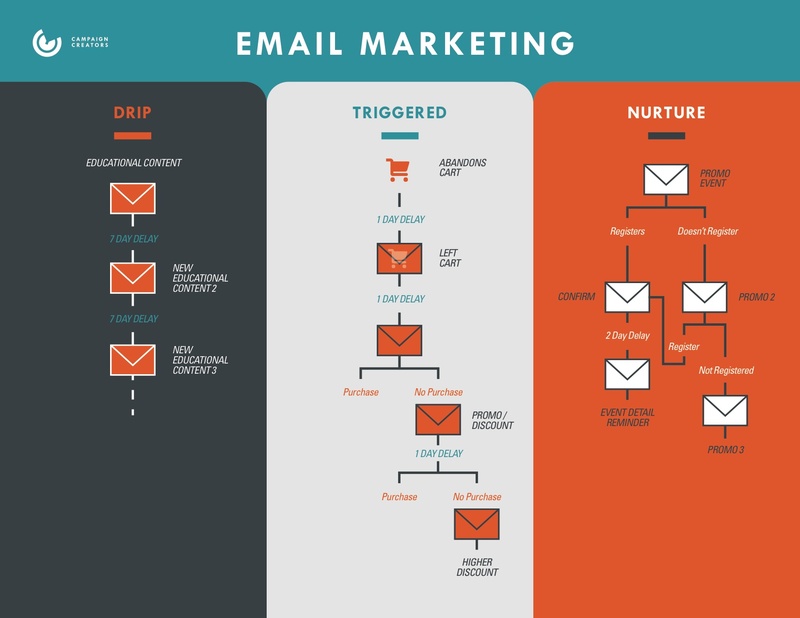 Triggered email: Automated emails that are triggered based on specific events, such as an action taken (or not) by a website visitor, or a meaningful change in a customer's behavior or profile. Segmentation: Selecting a target audience or group of individuals for whom your email message is relevant. 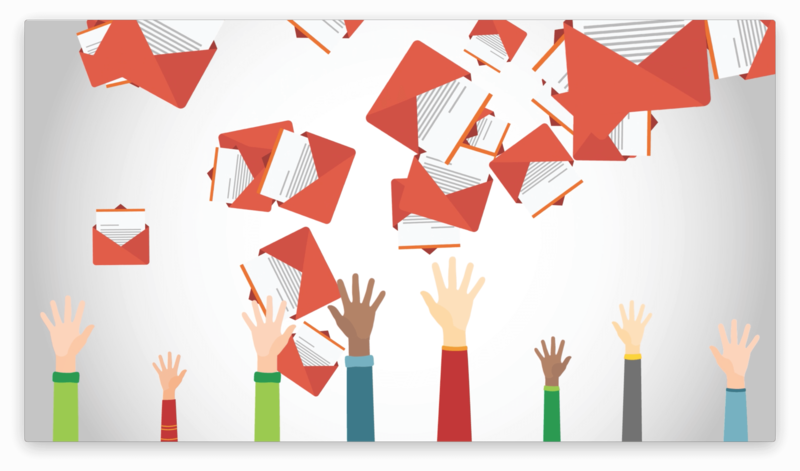 A segmented list means a more targeted and relevant email campaign, thus a higher response rate and less unsubscribes and spam reports. Welcome email series: A series of automated emails new subscribers get as soon as they sign up for your email list. With its cloud-based, all-in-one marketing software platform, HubSpot helps companies of all sizes create a web presence, convert online traffic into leads that can be tracked and nurtured and analyze business metrics to ensure marketing campaigns are progressing in the right direction. More like, what cant it do? HubSpot offers a full stack of products for marketing, sales, and customer relationship management that are powerful on their own, but even better when used together. HubSpot Marketing helps you prepare and optimize attractive content, and distribute it among the right audiences. The built-in search engine optimization tool helps you improve search rankings for web pages to attract more qualified visitors to your site. HubSpot then allows you to create engaging calls-to-action and personalize messaging to meet the specific needs of your visitors in order to foster a successful lead generation strategy - no coding required! 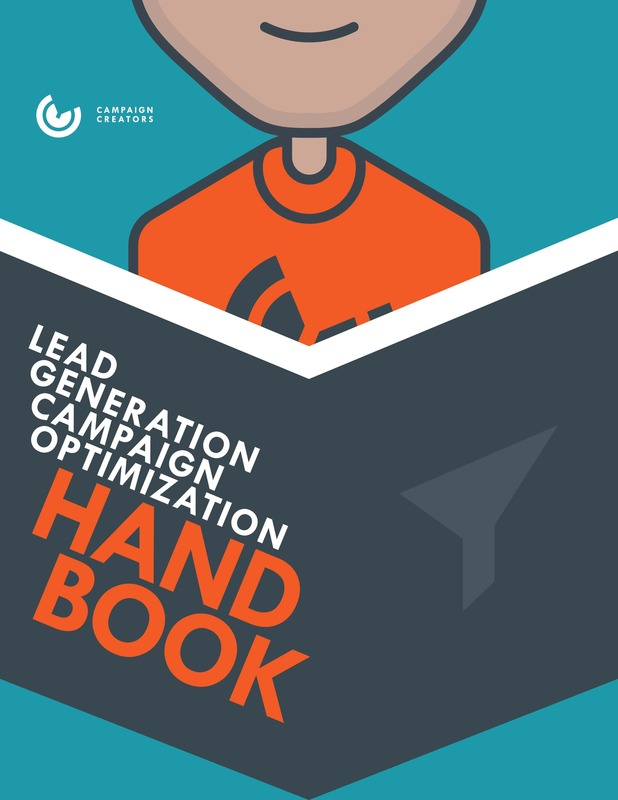 At the same time, HubSpot Marketing’s contact forms and lead scoring help you decide which visitors have the genuine potential to become qualified leads, and which leads are most likely to become customers. But it doesn't stop there. The system enables you to provide qualified leads with a personalized path to purchase through automated email outreach, then report on your strategy’s impact and contribution to sales. 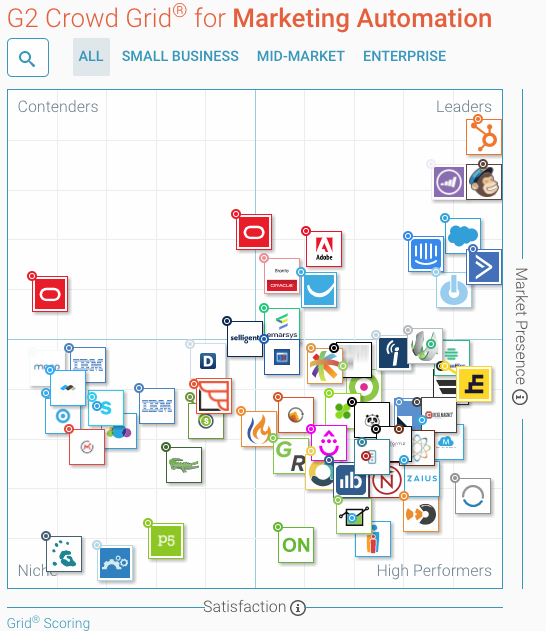 How does HubSpot stack up to the competition? 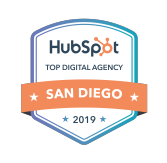 Despite great offerings from software like Marketo, Pardot, and Act-On, HubSpot continues to rank higher across various independent review websites. HubSpot Marketing has specifically been praised for delivering reliable and in-time support. You can reach their experienced and knowledgeable team of marketing professionals via live chat, email, or phone (depending on the plan you’ve chosen); or look up solutions independently using the platform’s vast resource and study library. They also offer a variety of certifications available free for users. Need a little help configuring a HubSpot product? Want to make the most of your HubSpot investment? We’ve got both the resources and personal expertise to get you on track and making the most of your tools. Check out these helpful resources below. 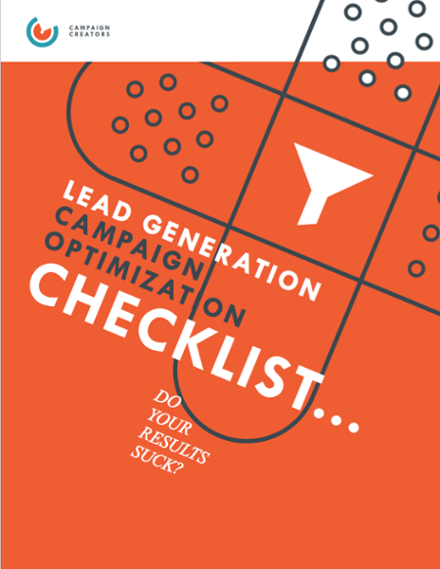 Campaign: Campaigns in HubSpot allow you to associate related marketing assets so you can easily measure the progress and results of your collective marketing actions. Smart List: A list of contacts that is dynamic, meaning that it automatically adds new contacts who meet the criteria to the list even after the list has been created for the first time. Static List: A snapshot of a group of contacts who meet a certain set of requirements at a certain time thats does not update as new contacts meet the criteria. Workflow: A workflow is an automated set of marketing and/or sales actions that execute based on a starting condition. The tool allows for multiple actions to execute at desired intervals and also includes the ability to use branching logic to perform specific actions based on how a contact has interacted with your content or website. 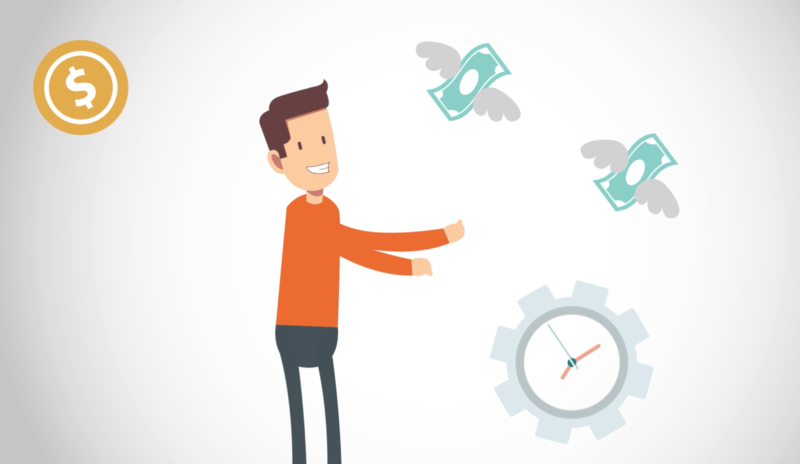 A recent study showed that reps spend less than a third of their time actually selling - compared to a full 50% spent between administrative CRM tasks and searching for content. So how can we flip this stat so our sales reps actually spend their time selling? You guessed it. With automation! Sales automation software takes the manual, time-consuming tasks sales reps, managers, and leaders do on a daily, weekly, or monthly basis and automates them. Not only does it improve efficiency, but it increases accuracy and accelerates the sales process. If you're ready to stop administrating and start selling, these resources are for you. Lead scoring: Ranking prospects on a scale (based on attributes, behaviors, etc.) that represents their perceived value as a lead. The scores are used to prioritize the company’s engagement with the most valuable leads. Pipeline Management: A cross-project management tool that systematically tracks open sales opportunities as they move through your sales process. Sales Qualified Lead (SQL): A lead that has been determined to have the ability to purchase your company’s products or services. A sales qualified lead is then passed from the marketing team to the sales team to hopefully be closed into a customer. Inbound sales is a personalized, helpful, modern sales methodology. Inbound salespeople focus on their prospect's pain points, act as a trusted consultant, and adapt their sales process to the buyer journey. Personalization is essential in this process as each customer is unique and no one sales technique will work for all prospects. Check out these resources for more information on how to effectively appeal to your buyer's needs and close that sale! Always Be Closing (ABC): A phrase used to remind sales to always look for new customers, pitch products or services to those individuals, and then complete the sale. ‘Always Be Closing’, as a strategy, is about the salesperson being persistent but also knowing when to cut losses. BANT: Budget, Authority, Need, and Time. A method for qualifying both likely and desirable sales prospects, who should have the proper resources for your product/ service. 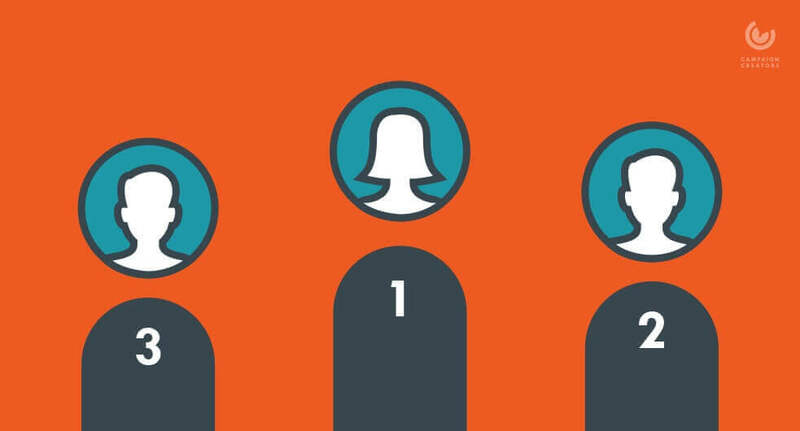 Lead fit: How well a particular buyer matches your brand’s ideal prospect, or usual buyer. Smarketing: A fun phrase used to refer to the practice of aligning Sales and Marketing efforts. For most websites, only 2% of web traffic converts on the first visit. That's why today many websites are being designed with the goal to convert website visitors into customers. These conversions occur all over the website - on the homepage, pricing page, blog, and landing pages - and all of these can be optimized for a higher number of conversions. The process of optimizing those conversions is exactly what CRO entails. Once your marketing engine consistently attracts website visitors, you should start thinking about CRO and we've got the resources to help. Are My Conversion Rates Good? A/B Testing: The process of comparing two variations of a single variable to determine which performs best in order to help improve marketing efforts. This is often done in email marketing (with variations in the subject line or copy), calls-to-action (variations in colors or verbiage), and landing pages (variations in content). Analytics: The discovery and communication of meaningful patterns in data. In marketing, it’s looking at the data of one’s initiatives (website visitor reports, social, email, etc. ), analyzing the trends, and developing actionable insights to make better informed decisions. 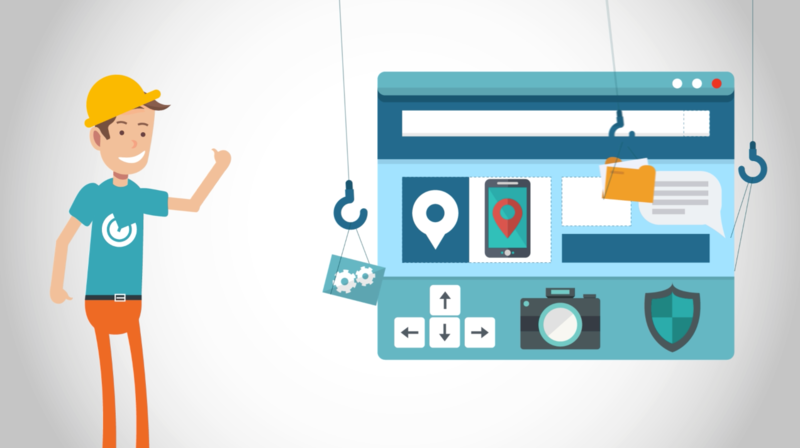 Call-to-Action: A text link, button, image, or some type of web link that encourages a website visitor to visit a landing page and become a lead. Content Management System (CMS): A web application designed to make it easy for non-technical users to create, edit, and manage a website. Conversion Path: A conversion path is a series of website-based events that facilitate lead capture. 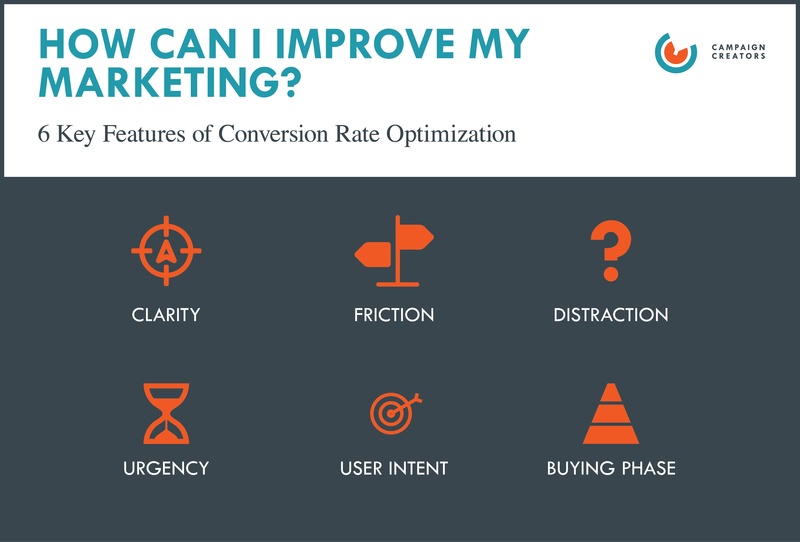 Conversion Rate Optimization (CRO): The process of improving your site conversion using design techniques, key optimization principles, and testing. It involves creating an experience for your website visitors that will convert them into customers. CTR: Click-through rate; a percentage of how many users click on a link included in a webpage or email, whichprovides a way of measuring the success of the campaigns. Friction: Any element of your website that is confusing, distracting, or causes stress for visitors, causing them to leave your page. Mobile optimization: Designing and formatting your website so that it’s easy to read and navigate from a mobile device. Website bounce rate: The percentage of people who land on a page on your website and then leave without clicking on anything else or navigating to any other pages on your site. Diagram: How Can I Improve My Marketing?